Model run time displayed on Windytv? Hi there, thanks so much for your FREE website!! 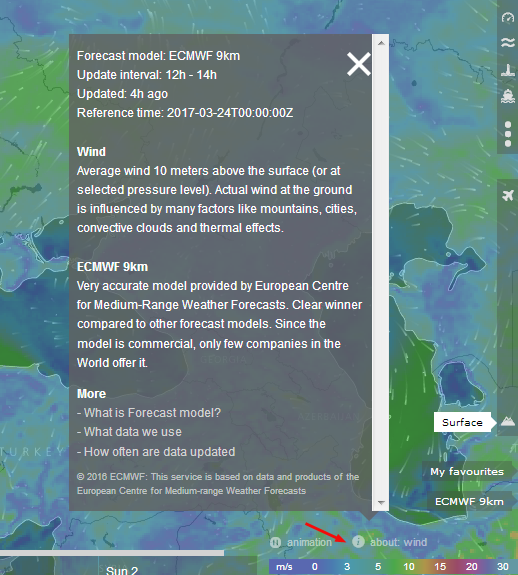 Is there anywhere to find the model initiation time for the data being displayed in Windy? E.g. 00z, 06z, 12z, 18z. If not, would it be possible to please add it? :)Thanks! You can find it in the bottom right corner. If you point on (i), info box appears. There you can see the "Reference time" value. Awesome, thanks so much for your reply!